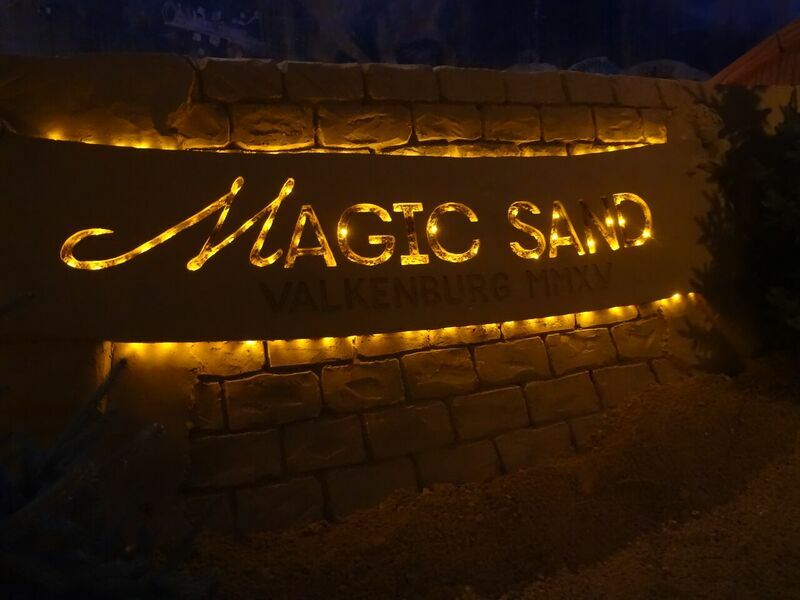 A trip to Valkenburg to visit the Magic Sand creation left me almost speechless. And this does not happen very often! 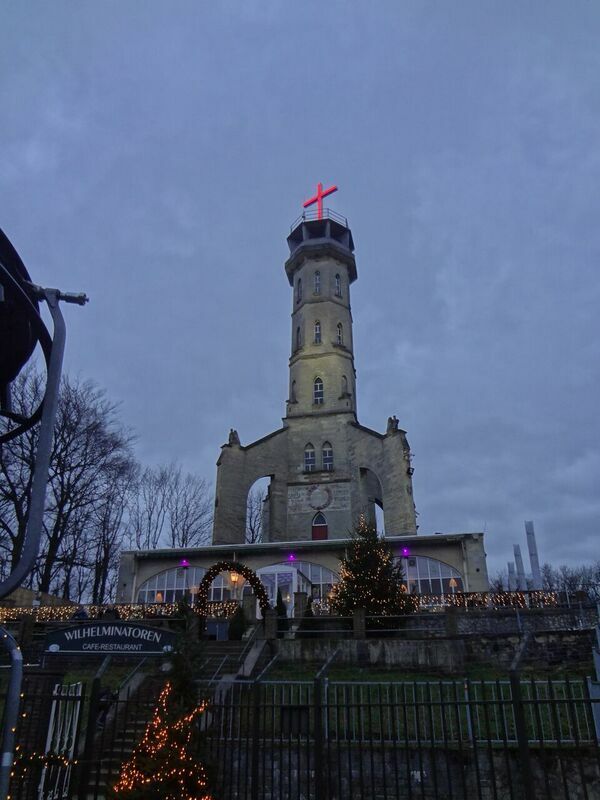 We drove to Valkenburg, Netherlands over the weekend to see the Christmas Markets in caves. There are three caves in very close proximity to each other so we ambitiously set out to see all three on a Friday afternoon. 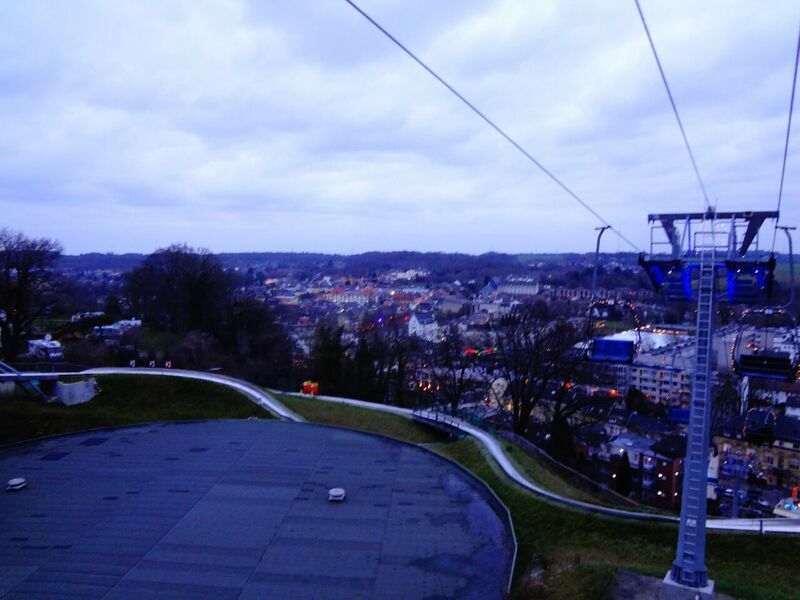 We found Valkenburg easily enough and focused on the Magic Sand cave because it closed at 6 p.m. while the others close at 9 p.m.
We arrived just in time to take the chair lift above the cave to the Wilhelmina Tower for some panoramic views. 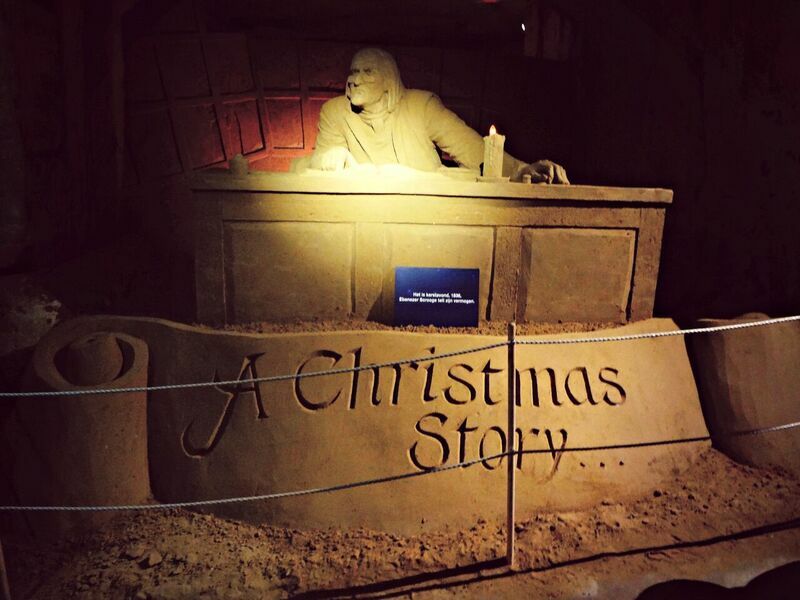 This is the fifth year for this “Magic Sand” display and this year was a highlight of Charles Dickens “A Christmas Carol”. I have no idea how long it took to build these works of art or how many artists were involved, but I can sum it all up in one word….WOW! 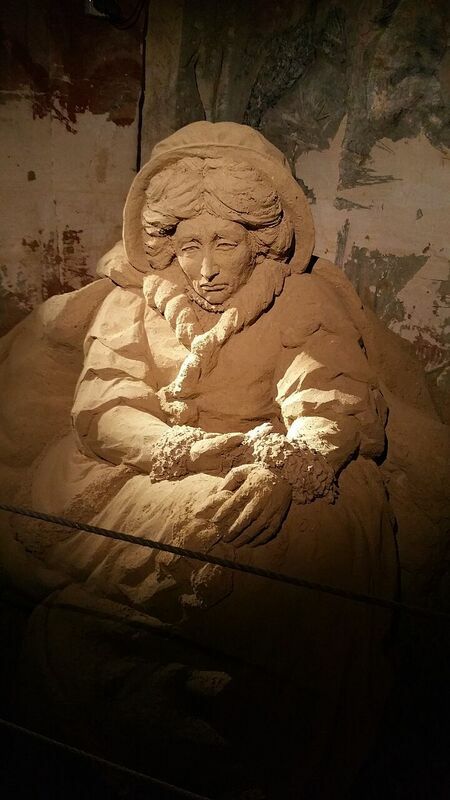 Yes, I have seen works of art using sand before, mostly at beaches. However, this was something else entirely. This was storytelling in a most creative form. The walking tour through the cave takes you into the story and the attention to the smallest detail is amazing. 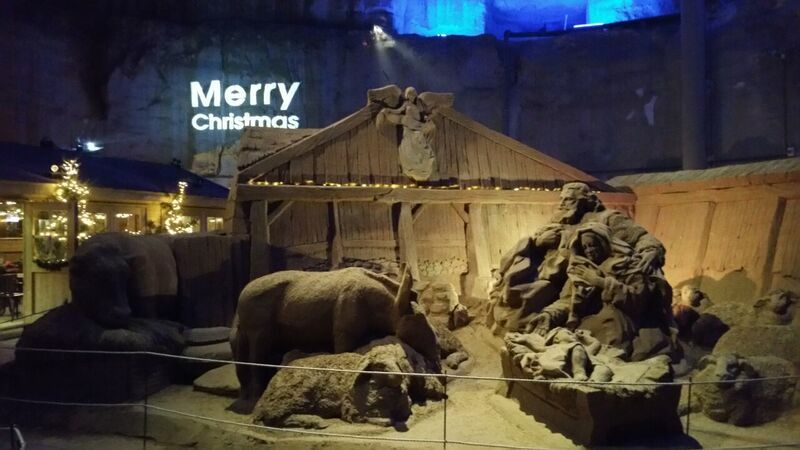 The main part of the cave depicts the story of Christmas as we know it. 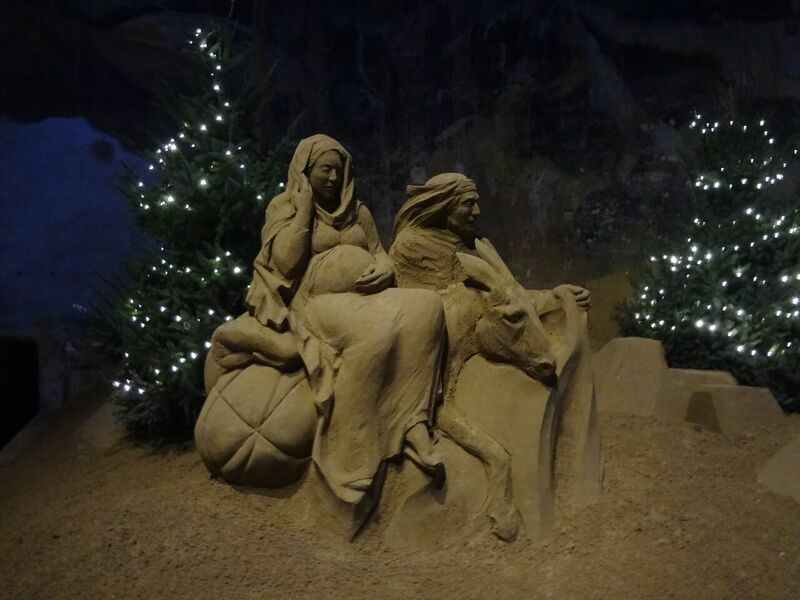 Joseph and Mary in Bethlehem, the birth of Christ, Three Kings, and an extraordinary manger scene. 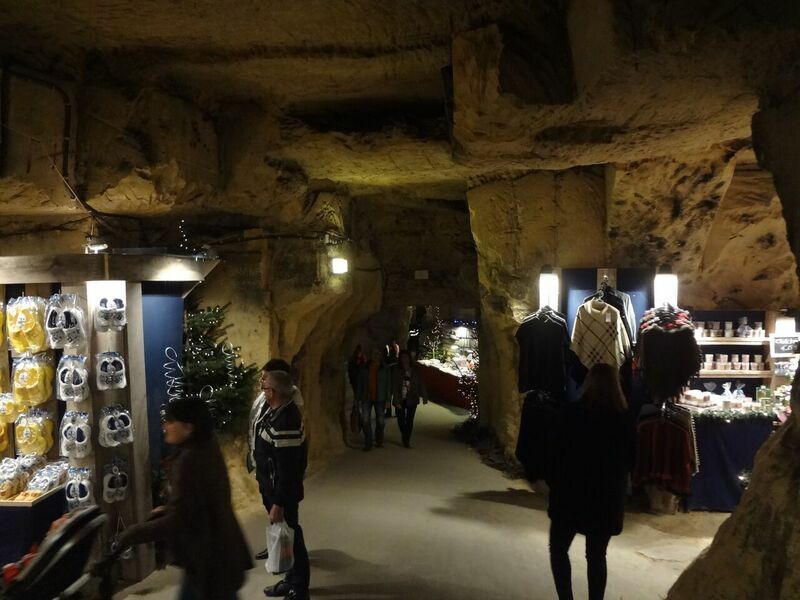 After being completely awed by this cave, we decided to move on to the Municipal Cave, which is basically an underground Christmas Market. How cool is that? 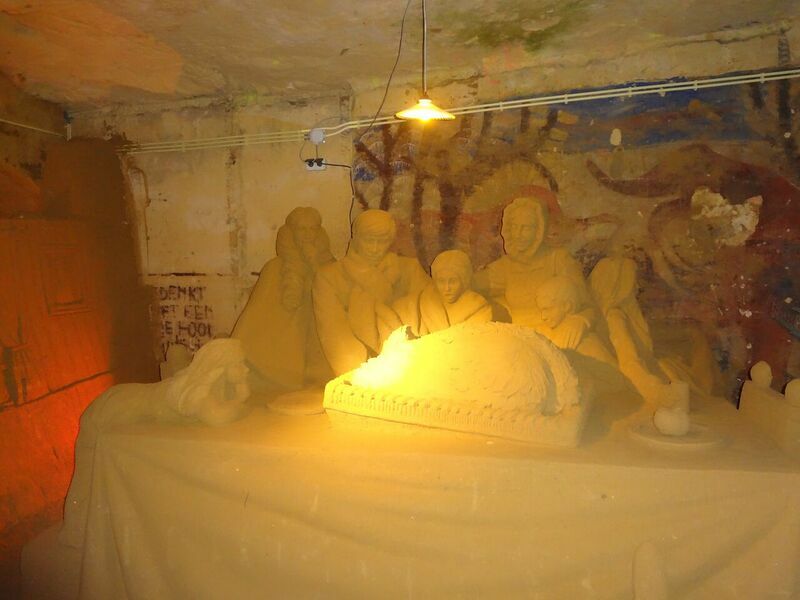 The Municipal Cave market is the largest, oldest, and most visited underground Christmas Market in Europe. This was pretty much a very traditional market, with a lot of the same type of vendors you will see at any market. And, of course, various Christmas decorations! We did notice that there were very few food vendors, which is a bit different. 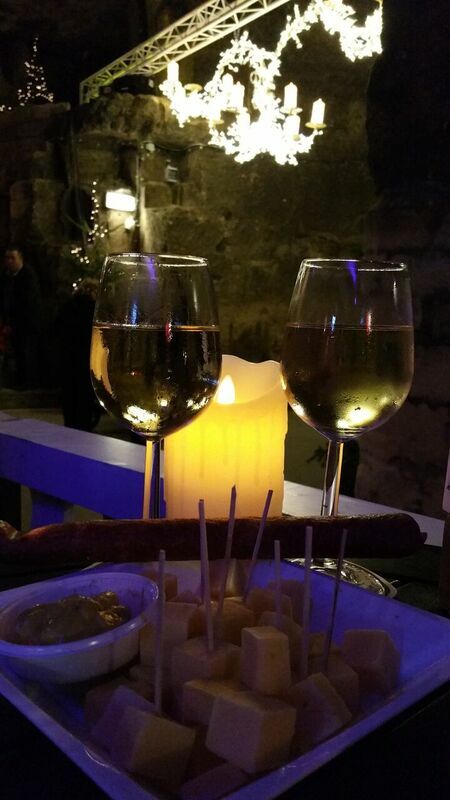 There is a restaurant inside the cave where we were able to buy some wine and cheese. Whew. Unfortunately, we made it to the third cave referred to as “Velvet Cave” just as it was closing. 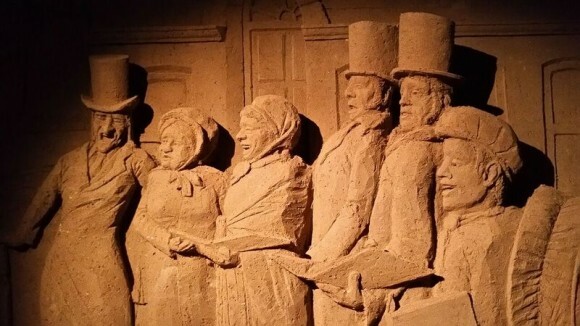 We were able to speak briefly to the manager who was kind enough to give us some history of how the caves were made by man in an effort to use the limestone for structures like homes and businesses. 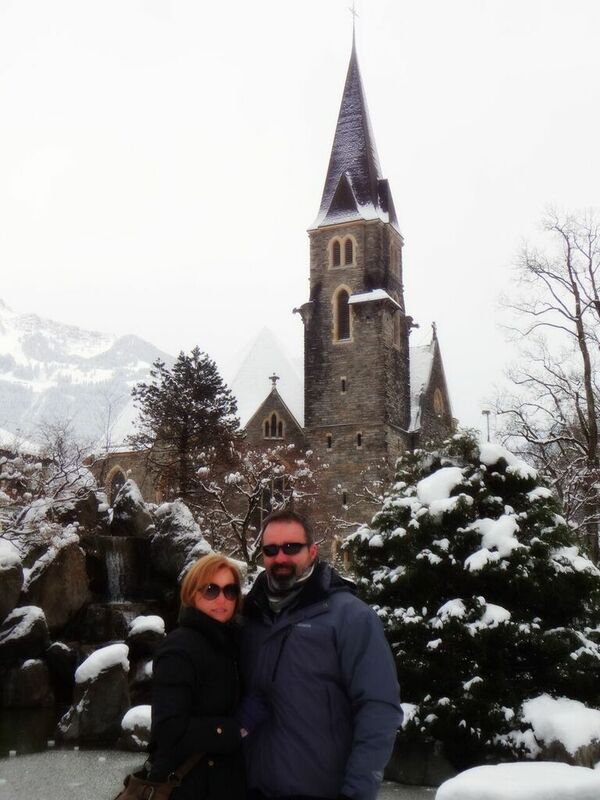 He also told us that the cave is open year-round for tours and that they love when Americans come and visit. 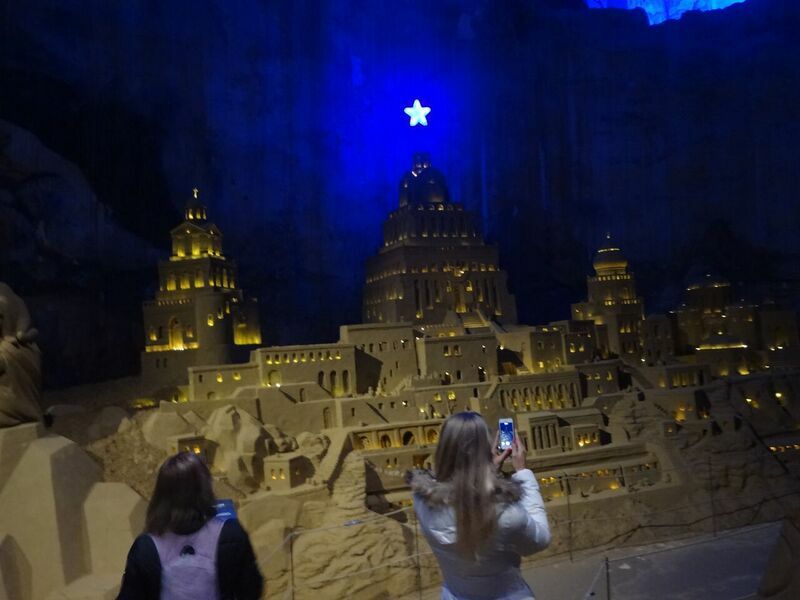 The Magic Sand display will be available until January 3, so there is still time to go and see it before they take it all down. 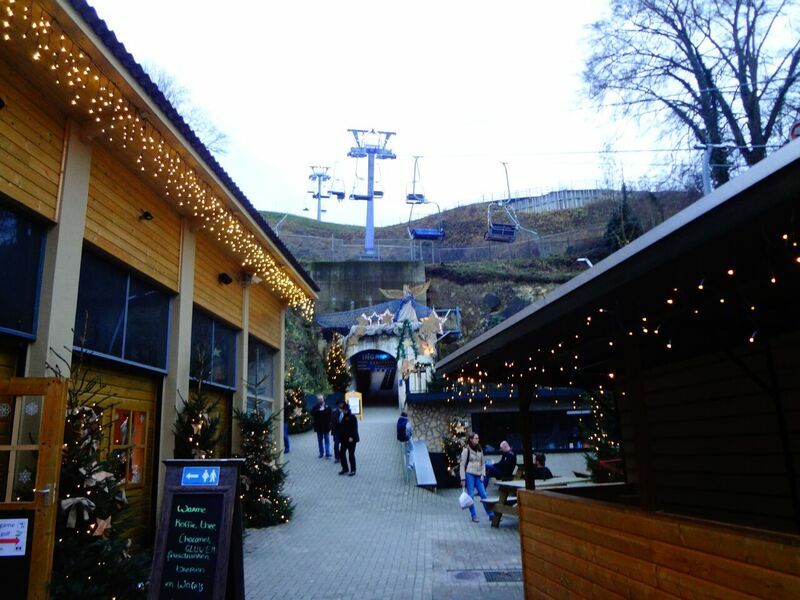 Admission is €3 for children under 12 and €6 for adults; €5 for children and €8.50 for adults if you want to include the chairlift. 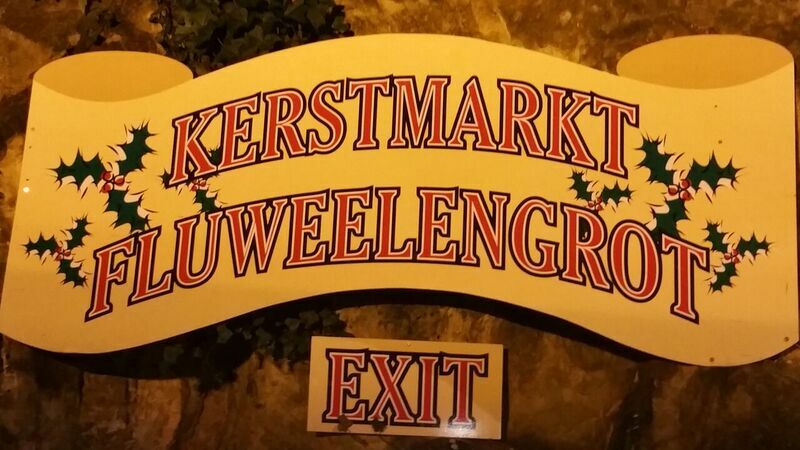 Opening hours are Monday to Friday 11 a.m-6 p.m. and weekends 10 a.m.-6 p.m.
Municipal Cave: This market ended on December 23, but the cave is open year-round. Opening hours and admission prices can be found on their website. 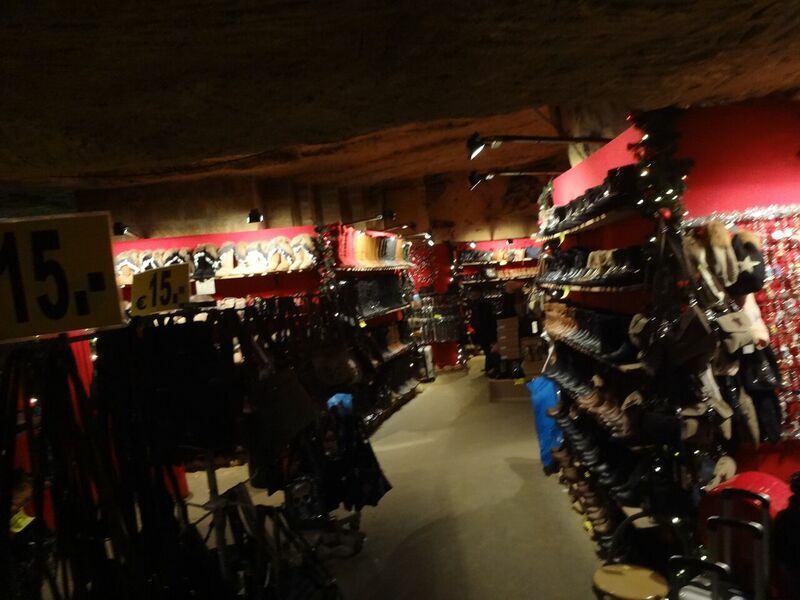 Velvet Cave: This market ended on December 23, but the cave is open year-round. Opening hours and admission prices can be found on their website. We used the GPS address for the Magic Sand exhibit and had no difficulty finding a great parking spot nearby. The other two caves are a short drive away with equally convenient parking. 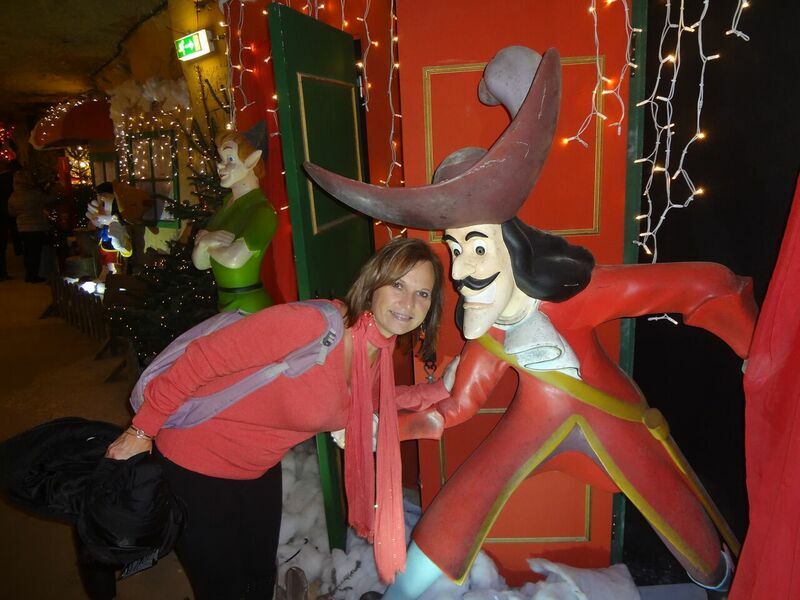 It is approximately a 3 hour drive northwest of Kaiserslautern, 2 hours and 30 minutes northwest of Wiesbaden and 4 hours and 20 minutes northwest of Stuttgart.